The upcoming 2018 Guide will now showcase 54 affordable restaurants in Chicago. Eight new restaurants have joined the ranks of the highly-regarded Bib Gourmand list in the 2018 MICHELIN Guide Chicago. Bib Gourmand restaurants are selected by Michelin’s famously anonymous food inspectors, who choose restaurants serving high quality food on their menus and make it possible to order two courses and a glass of wine or dessert for $40 or less (tax and gratuity not included). Across the city of Chicago, Michelin inspectors found authentic international flavors abounding. Logan Square has become a hotbed for Mexican cuisine while exceptional spices from India and creative combinations from Vietnam have delighted diners both north and south of the Loop. In Logan Square, Giant, the cozy brainchild of chefs Jason Vincent and Ben Lustbader, packs flavor and fun into all of the dishes, while Mi Tocaya, the first venture of chef Diana Dávila, serves up Mexican cuisine at great value. 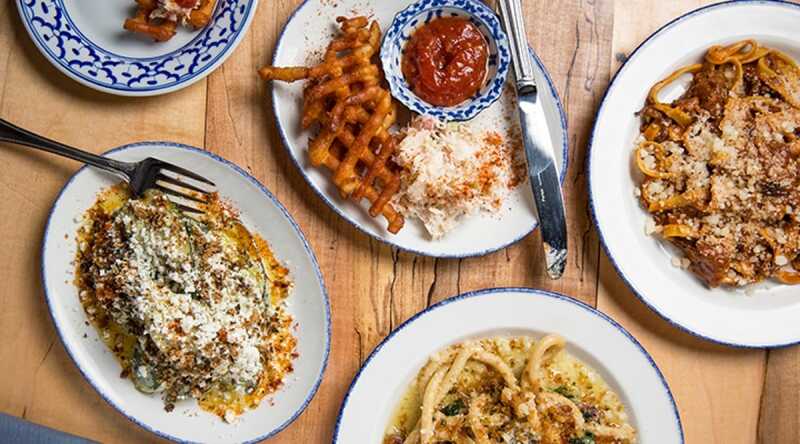 And at Quiote, from self-taught chef and former Salsa Truck owner, Dan Salls, diners will be delighted by the dedication to Mexican techniques. A selection of dishes at Giant. Photo courtesy of Galdones Photography. In River North, True Food Kitchen is pioneering healthy and vegetable-forward fare under the direction of Sam Fox and Dr. Andrew Weil. Also new on the list is HaiSous in Pilsen, a delectable Vietnamese concept by chefs Thai Dang and his wife Danielle Pizzutillo-Dang. Pleasant House Pub, also in Pilsen, offers the best of bakery and beer under a new roof. Led by chefs Art and Chelsea Jackson, the recently relocated project is serving up beloved Royal pies alongside Pleasant House Farm’s produce and a line of Pleasant House Pub beers brewed by Whiner Beer. Mango Pickle in Andersonville is traditional yet unique, and a much-loved new venture from chef and co-owner Marisa Paolillo. Along with her husband, Nakul Patel, Paolillo has brought a new wave of creativity and contemporaneity to the Indian cuisine scene in Chicago. Hero image courtesy of © Kevin J. Miyazaki/Au Cheval.